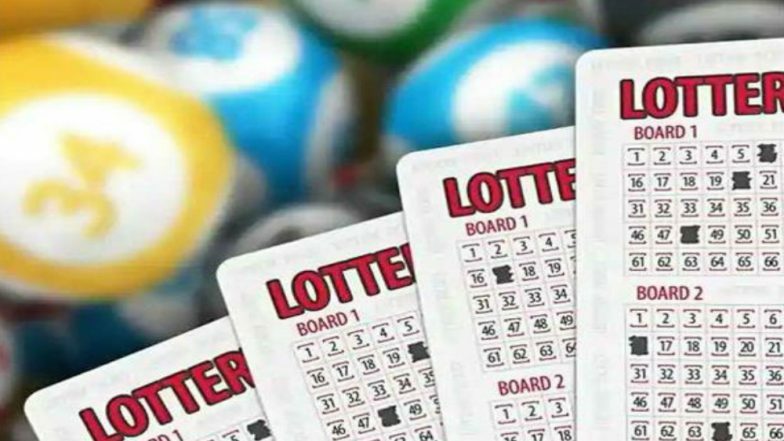 Thrissur, April 14: The results of Kerala Pournami RN-387 lottery has been declared today, on the eve of Vishu 2019. The list of winners, released at 3pm, can be checked online at keralalotteryresult.net and keralalotteries.com. The first prize winner will be rewarded Rs 70 lakh, whereas, the second and third prize awardees will bag Rs 5 lakh and Rs 2 lakh, respectively. Vishu 2019 Wishes and Messages in English for The Kerala New Year. A consolation prize of Rs 8,000 will also be issued. The reward amount, if less than Rs 5,000, can be claimed from any of the registered Kerala government's lottery offices on producing the ticket. For amount larger than Rs 5,000, the awardees will have to submit their ticket, along with their ID proofs, before the designated public sector banks. The amount would subsequently be transferred electronically into their accounts, after the deduction of taxes. Vishu 2019 Recipes: From Sambar to Palpayasam, How to Make a Kerala Sadhya Feast from Scratch This Malayali New Year. Lakhs of Kerala residents take part in the state-organised lottery events. The Pournami RN-387 lottery is part of the four major bonanza programmes planned by the Kerala government, on the occasion of following festivals -- Onam, Vishu, Christmas and Pooja/Dussehra. Participants of the lottery ar asked to pay Rs 30 for a single ticket, while the entire book costs Rs 750. A day earlier, the Kerala government declared the results of KR-391 Karunya lottery, in which the top prize was worth Rs 80 lakh, followed by Rs 10 lakh for 2nd winner and 1 lakh for the 3rd prize.